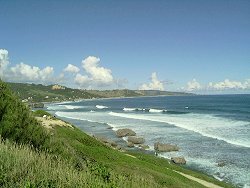 The very first tourists that came to Barbados were enticed here because of the clean air, sunshine, and a spirit of vitality. The East coast with its rugged landscape, strong winds and pounding seas became the retreat of choice for the wealthy European and American visitors and a number of health services and retreats grew up to cater to this clientele. In 1751 the future American President George Washington accompanied his brother Lawrence to Barbados to help him recover (from a bout of tuberculosis) in the warm climate of the island. 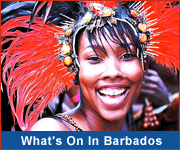 Over the years the tourism industry has widened and diversified, but Barbados has continued to attract the health conscious because of its well known healing qualities. It remains a haven for those needing to get away and relax, those who seek a more spiritual experience and those looking for alternatives to traditional medicine. 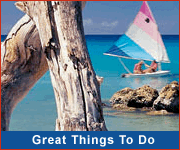 Barbados has a high standard of health care which is easily accessible to all. The main Government hospital - the Queen Elizabeth Hospital - has 600 beds and offers specialized care in areas such as pediatrics, obstetrics, plastic surgery, radiology, etc. There are also 8 government Polyclinics providing free medical treatment for minor ailments, 5 Geriatric hospitals for care of the elderly, and a network of Child Care facilities. In addition to the public health care facilities there are several private clinics across the island. Visitors prescriptions may be filled at local pharmacies. However visitors should consult with a local physician first. A list of pharmacies and medical practitioners may be found in the Barbados Yellow Pages - download the app or see a printed copy which is available in most hotel rooms.